But, when I started Twins Mommy and when I was ready to grow my income, I started with affiliate marketing. 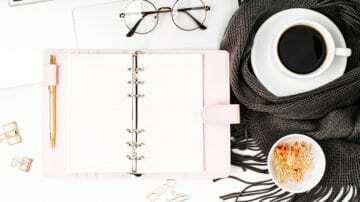 If you’re new to making money blogging, I suggest you also start with affiliate marketing 🙂 At first, you may not make much income, but with the right methods, you’ll be able to boost your income quickly. I’ll be sharing with you six tips to help you create an income generating post AND how to promote it (so you can get more eyes to that post!). 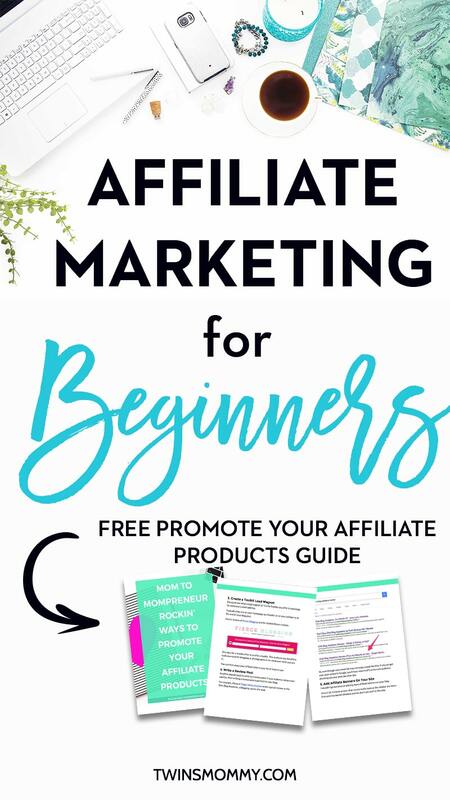 But before we get into the nitty gritty of this post, make sure to pick up my guide on how to promote your affiliate products. When you decide what your affiliate products will be, it’s best to promote ones that you know about or have used in the past. This may not be possible though. For example, I was recently an affiliate for the Genius Blogger’s ToolKit (I also had my Ready Set Blog for Traffic course in the bundle). The bundle has over 90 products. I didn’t sit down and view all of them; I just previewed most of them and took the courses or read the eBooks for the ones I really wanted to see. So, while I didn’t get all the knowledge for this product, I was still able to effectively promote this product. There are also affiliates that will give you a free trial or access to their course. Don’t be afraid to ask the blogger or business about getting a free trial to see what it’s all about. I had to do this for my other blog, Elna Cain, in promoting a new freelance writing job board. I didn’t know much about it, but I became an affiliate and asked for access to their job board. This helped me generate my post, get screenshots, and walk my readers down the road to understand how to use this job board. Understanding and figuring out their pain points is essential to converting readers into buyers. How? The products you’re recommending will be the solution to your audience’s pain points or frustrations. And when you can relate to your audience’s frustration with your own story or using yes-type questions, you suddenly are more trusting and your reader will more likely read your post and trust what you recommend. One of my posts on Twins Mommy hits a nerve with my readers so much so that I’m a top referral for the product I promote in that post – Tailwind. Tailwind actually uses my post as a case study to help other affiliates. How do you find out your readers’ problems? These types of posts show your audience how to use that affiliate product effectively. It’s step-by-step and it’s broken down into an easy to follow post. These types of posts are great for tools, devices, appliances, and services. When I decided to make money with this blog, I did tutorial based posts for all my affiliate products. 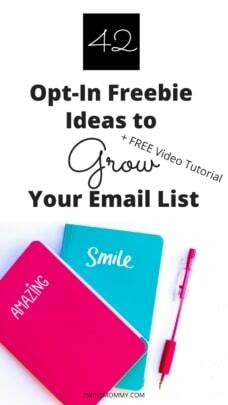 These are great for promoting courses, eBooks or digital products you’re an affiliate for. Usually, a very successful story helps with converting readers into choosing the course you’re promoting. For example, Amanda, of Amanda’s Great Idea, wrote a post on how she made $2000 on her first freelance writing gig ever. In that post, she promotes my course, Write Your Way to Your First $1k. 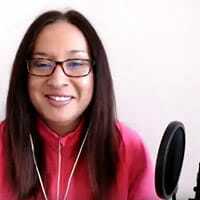 She shares her journey into freelance writing and about landing that first client. This type of post is good for Amazon types of products or similar to that offered by other affiliate programs. While you can create a post mentioning one product, most bloggers link to multiple products in their post. I personally don’t have experience using this method, but I do create posts for my freelance writing clients using this method. Typically, a client has me write a valuable post like how to optimize your landing page and then they have me add a paragraph at the end of relatable products like landing page builders. I write a little blurb about each tool or WordPress plugin and the client puts their affiliate links in the post. Now, if you’re a blogger or mom blogger, you can use this strategy for your blog. For example, you can write about tips to introduce swimming for young children (or going to the beach). At the end of your post, you can promote related affiliate products. List posts are popular for social shares, but they can be effective for your affiliate products. Round up favorite items like coffee mugs or fall boots or courses for entrepreneurs and create a post around that. If you need help promoting your affiliate post, make sure to grab my ultimate guide on promoting your affiliates! Here are my top three ways to get more eyes on your affiliate post. Aside from your blog post, there are ways you can promote your affiliate post on your blog. The first way is with an announcement bar. You can use the Hello Bar to create a free announcement bar that’s placed on the top of your blog. I haven’t used this strategy for may affiliate posts, but have for my lead magnets and it’s effective. The two best ways are on Pinterest and Facebook. Create multiple pins using different headlines and graphics to attract different readers to your income generating post. Creating multiple pins also helps you pin more content with your social media automation tool like Tailwind. The more pins you have, the more you can pin in a day. With Facebook, you can create posts with a story and then link to your affiliate post. 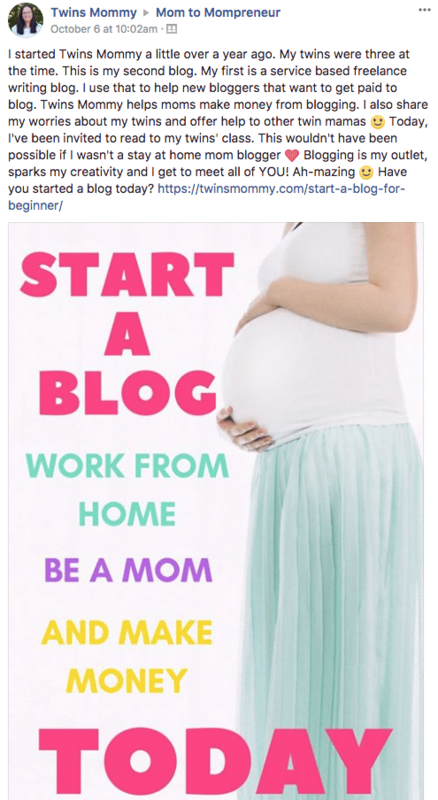 For example, in my Mom to Mompreneur Facebook group, I write about when I started the whole blogging journey as a mom to twins. This hopefully, relates to some of the bloggers in my Facebook group. If you don’t own a Facebook group, you can set up a Facebook page and use that to promote your affiliate based posts. I wouldn’t post every day these types of posts; just once a while. Your Facebook page should help you relate to your followers and help grow your brand and credibility. 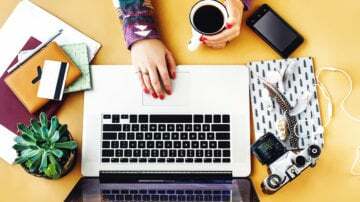 As a new blogger, email is one of the first things you should set up. Why is that? Because it’s the best way to get to know your audience. Having that connection is important if you want to monetize your blog. Readers and followers may not consistently come to your blog, but subscribers will come more often, follow you on social media and email you personally! It’s the best feeling! So, how do you promote your affiliate posts without coming off too spammy or market-y? 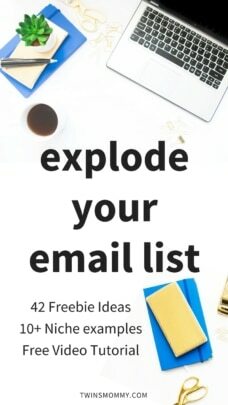 Set up an email funnel system to warm your subscribers. Having a welcome series or some sort of welcome email to show them your resources can introduce them to your affiliate products. Create a content upgrade in your blog post and promote your affiliate in your freebie. For example, if the post is about the top ways to rock blogging you can have a freebie related to that like top tools a blogger needs. And in that checklist of tools you can promote your affiliate products. As a mom blogger, it is possible to make more than a few bucks with affiliate marketing. The trick is your content. You have to be able to tell a story and hook your readers in. Tell me in the comments how you create your income generating posts! I’d love to see them! Wow this is such an in-depth guide to affiliate marketing! I’m quite new to affiliate marketing and how to use it as an income source, but this post laid out the essentials in such a clear manner. The part on blog posts styles that generate income sales was pure gold. Thanks for sharing this, Elna! That’s awesome! So glad you found this post helpful as well as my other guides and posts! 🙂 Your niche is a great niche to market on Pinterest! Good luck! I watched your video embedded in this post and it is very helpful! I’ve been running in circles trying to figure out what affiliates are best for me, but my problem is that there are TONS of other bloggers promoting the same product / service. My issue is that readers can easily see what I’ve written about but might not commit to buy right then and there, only to find it somewhere else and purchase it. I think what I’m trying to ask is would it be best to try to research unique affiliates? Or is it best to go with the crowd? I suggest you go with reputable affiliate products. You don’t want to promote something that no one knows about right (unless it’s an amazing tool or service!). I wouldn’t worry about other bloggers promoting the same affiliates. Your readers come to your blog to learn from you! That’s all that counts! Thanks for pointing out that “linking straight to your sales page can be a bit off-putting.” If you hadn’t mention it, I’m sure I would’ve made that newbie mistake. I like the idea of the welcome page. You have yours under ‘Courses’. How would you do a welcome page if you offered several courses? Have a separate page for each Teachable course under ‘Courses’? I’m new and still trying to figure things out. A welcome page is usually for social media and not your site. I link to my course sales page on my site or my Teachable page. You can have a course tab and just write a blurb for each course you have and a button of “learn more.” I hope this helps! Elna, there’s so much to learn but yes it does help. I am taking your suggestions. Thanks so much. Love your blog! Very colorful and interactive!!! You and Alicia Rades are similar in the journey you’re taking! Thanks for stopping by and good luck with affiliate marketing! I’m sure you’ll do great writing those income-generating posts! I just got approved on a handful of affiliate sites. I’m now just getting ready for that first sale to come through! Working from home full time after my maternity is up ya my main goal! We can do it YES we can! Congrats! Enjoy writing about those affiliate products and make sure it helps solve a problem for your audience! Thanks for clarifying my question in mind. It does help to read blogs from Mom’s like me. This is great! I’ve definitely started digging deeper into affiliate marketing after I learned that I was consistently earning credits for SmarterQueue. 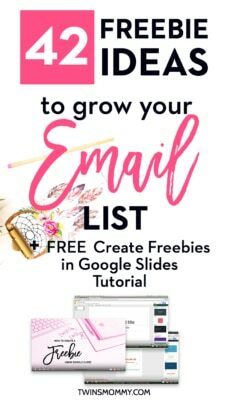 I created a FREE course called SImplify your Biz Tools which is all of my business tools that my audience consistently asks me about AND included my affiliate links as well. (Here’s the link in case you’re interested: http://bit.ly/sybt ) I am planning on adding an affiliate post/video to my schedule each week until the end of the year to see how that does as well. As you know, testing different things out is my fav! p.s. The new website design looks AMAZING!!!! That’s great! I love your videos and posts! That’s a great way to promote your affiliate links! Very helpful article Elna, thanks for the share. How much time does it take to create income generating post? Creating an income generating post can take a few hours. For me, up to 5 or more. But you can do this all in stages too, so it’s not so overwhelming! Definitely something what I was looking for ! Thanks for the guide as I was looking into this recently. I’m changing up my entire site and going into a different direction with it. I just hope finally this is where I want to take my writing career. Hey! Nice to see you here! Yes, that’s great you have goals and ideas to diversify your income! Good luck! I love meeting other twin mommies! 🙂 Let’s band together eh? I’m happy that you want to blog. Your blogging voice will come with time! The more you blog the more you’ll find your personality oozing out! Glad you enjoyed this post and I can’t wait to see that blog!